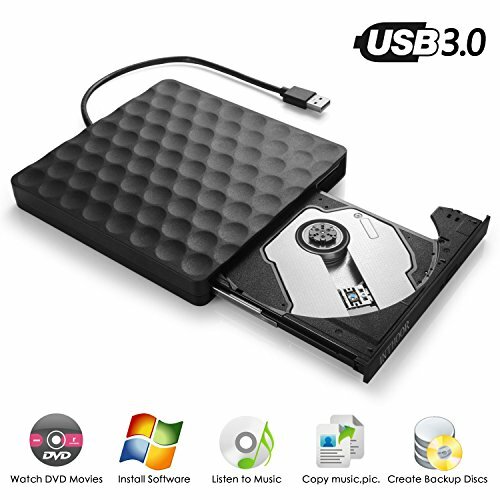 InThoor external DVD/ CD drive supports Laptop, Mac, Macbook and more device which is equipped with USB port. It is a perfect companion for computers without the internal drive. You can install software, watch DVD movies, listen to music, burn music/ pictures/ movies to both CD and DVD. No external driver and power needed. Just plug it into your USB port and the DVD driver will be detected. USB 3.0 high speed interface and advanced intelligent burning technology bring you more faster data transfer speed and stable performance. Strong error-correcting ability, anti-shock and noise reduction technology, low power consumption. If you have any questions about this product by InThoor, contact us by completing and submitting the form below. If you are looking for a specif part number, please include it with your message.